Designed for 1992-Up 5.2L 318 and 1993-Up 5.9L 360 Chrysler Magnum engines. Allows the use of a carburetor on these originally fuel-injected engines for early muscle car and street rod applications. 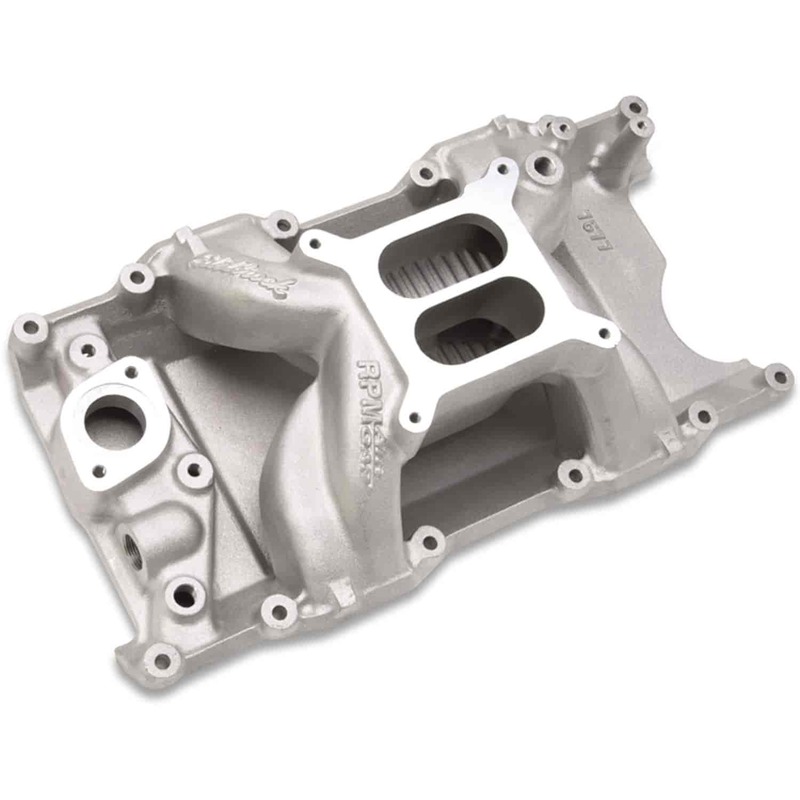 This dual-plane intake manifold design incorporates the same race-winning Air-Gap technology that's been used on our Victor Series competition intakes for years for outstanding performance in the 1500 to 6500 rpm range. The Air-Gap design features an open air space that separates the runners from the hot engine oil resulting in a cooler, denser charge for more power. Port exit dimensions: 1.08"x 2.10"
Carb pad height = 5.27'' Click here to determine carburetor pad height. This will bolt to a 2000 model 5.9 V8.